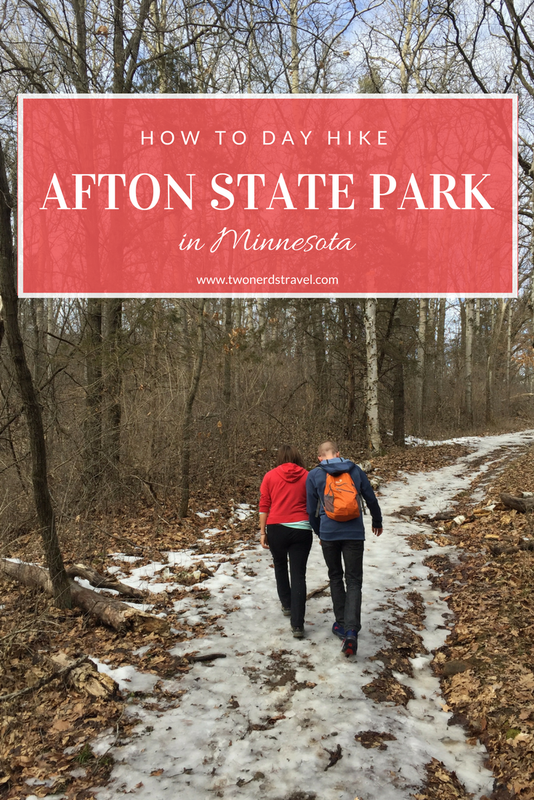 Among the many local hiking spots located near the Twin Cities, Minnesota (our home state and current location), Afton State Park might be the greatest of them all. 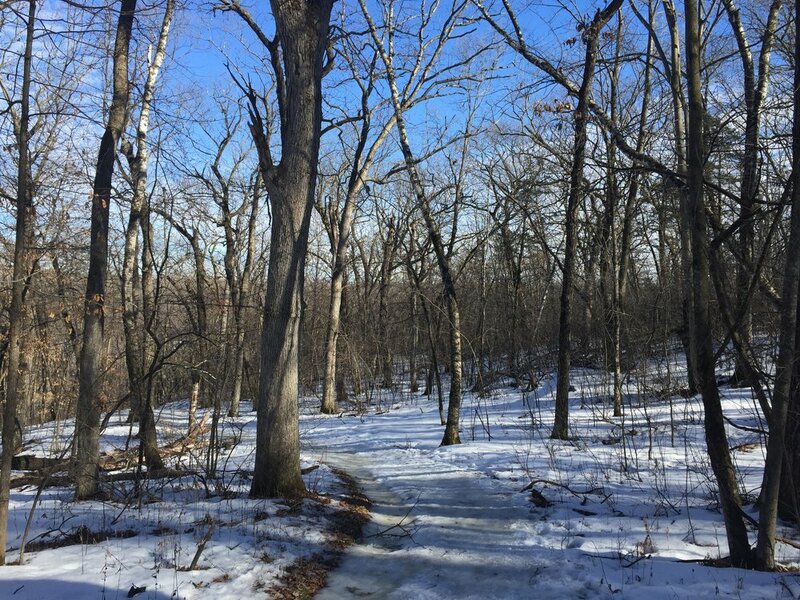 A nature reserve in heart and soul, this park boasts 1,620 acres of land, 20 miles of hiking trails, and a variety of activities all next to the St. Croix River—a winding thread of natural beauty that separates Minnesota and Wisconsin. We've enjoyed this park for two years and counting, and we can't get enough of it. It's a local treasure, offering opportunities for hiking, camping, swimming, trail running, snowshoeing, cross-country skiing, bird watching, horseback riding, and fishing, all without ever making you feel claustrophobic or overcrowded. Afton State Park is also incredibly gorgeous, with a variety of inspiring landscapes and terrains. In the spring and summer, a bloom of pretty wildflowers and other flora appear along the trails. In the fall, clusters of oak trees turn colors under the flickering rays of the sun. And in the winter, the woods are hushed, stirred only by the rattle of prairie grass in the wind or the sudden appearance of a deer. There's glacial moraine and bluffland, prairies and pine plantations, forests and beaches and golden trails moving lazily along the river slopes. You can even find a scenic outlook here and there, often atop hills that are a beast to climb. Trust us. 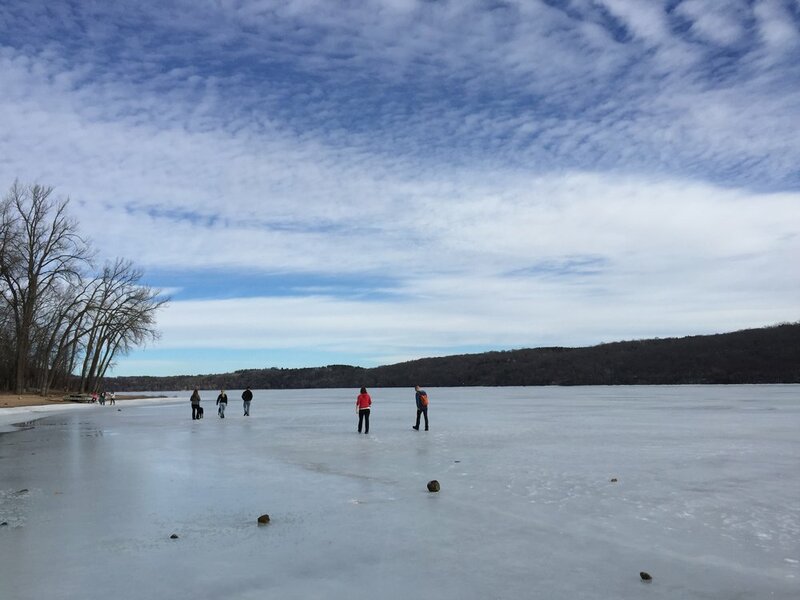 One visit to Afton State Park, and you'll be hooked. While there's much to consider when planning a trip to this local gem, we're huge fans of hiking and have done several satisfying day hikes along ASP's 20-mile trails. So we've decided to compile some information on how to day hike the park, in the event you—like us—are drawn to its beautiful and challenging wilderness. For Minnesota or Wisconsin locals, here are directions for reaching Afton State Park. From Minneapolis/Saint Paul, MN: Take I-94 E to MN-95 S/Manning Ave S. Then, take a left onto 70th St South and follow it to the end, where it turns into Afton State Park. From Duluth/North Shore, MN: Take I-35 S to I-94 E, then follow the Minneapolis/Saint Paul directions above. From Eau Claire/Wisconsin Dells/Madison/Milwaukee, WI: Take I-94 W toward Saint Paul until you cross the border. Take the exit for MN-95 N toward Stillwater. Continue on St Croix Trail South, then take a left onto 70th St South and follow it to the end, where it turns into Afton State Park. When you first pull into Afton State Park, stop by the Park Office to purchase a parking pass. They sell two different types of passes. If you only plan to visit for the day, purchase the $5 day pass. Otherwise, the $25 parking pass allows you to park at all Minnesota state parks for a year. We always choose this option (but only because we live in Minnesota and use the state parks for training), and it's as easy as swiping our debit card and putting a Minnesota State Park sticker on our windshield. After paying, continue down the winding road for a nice 5 minute scenic drive. Toward the end, there are a few parking lots. 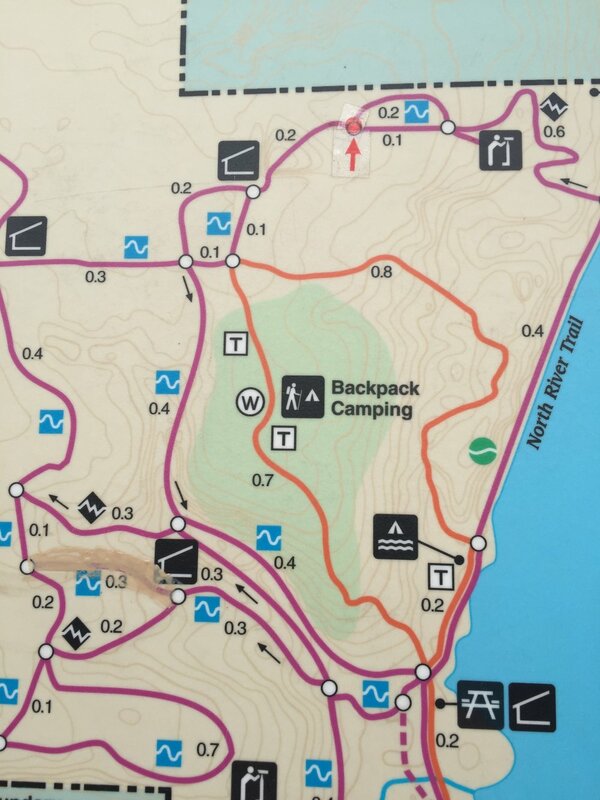 We suggest driving all the way, especially if you're carrying lots of gear (or planning a hiking/camping combo), as the farthest parking lots are closer to the trailhead. Day hiking at Afton State Park is serious business. The undulating terrain, steep hills, sometimes primitive trails, and potential weather conditions can make hiking certain sections of the park a challenge. Before you visit, check the weather forecast and the MN Department of Natural Resources website to make sure everything is a-go for your day hike. The DNR website is particularly helpful, as it lists the current state of the trails and any closures or warnings they might have about the park atmosphere. Always, always double-check these two resources before you jump in the car. 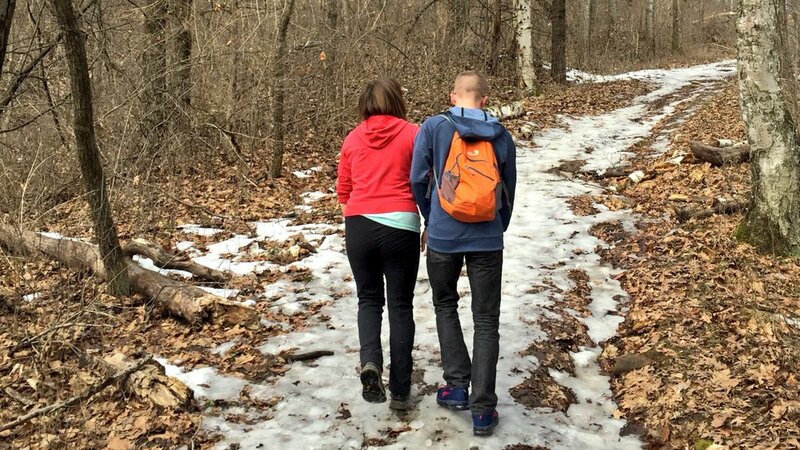 Afton State Park also offers varying levels of difficulty for hikes, so scope out the trail map (and the campsite locations if you're planning to make it a weekend excursion) to ensure you're prepared for the visit ahead. To reach the campsites, you need to hike a mile—some parts down stairs, some flat, and some up steep dirt paths that seem to last forever. Make sure to wear the correct shoes (the first time we visited I wore sandals to the campsite. I wasn't prepared and had packed my shoes in my backpack rather than putting them on my feet; deeply regretted that) and consider using hiking poles for the climb up. It can wind even the fittest of adventurers. The hiking trails themselves are sectioned into "loops" and "tracks" that come in different lengths. I believe the longest loop is 3-4 miles. These loops and tracks highlight the beauty of ASP's landscapes. One follows the riverbed, one circles a soft, yellow prairie, and one carves through the woods in search of friendly critters (mostly birds). Because of the diverse lengths and scenery, it's easy to piece together a hike that fits your schedule and desired difficulty. We've taken easy strolls and intense jaunts at Afton State Park ... and we love that it truly does offer that delicious, delicious variety. However, we do recommend planning a route before you go, as with just a day to hike it's easy to get carried away and lose track of time. This is especially important in the winter and spring months when sunlight is limited and weather is fickle. The trail map is an important resource, one you should use consistently while hiking in Afton State Park. The park covers a lot of space and has a lot of intersecting trails and forks; one wrong turn, and it's easy to be thrown off your original route. Thankfully, ASP has map posts installed on the trail every .5 to 1 miles, so you'll never be without guidance for long. The map also tells you which trails are for snowshoeing or cross-country skiing only, which is very helpful in the winter months when certain sections close to hiking and open for seasonal activities. The Minnesota DNR website has several downloadable maps broken into summer and winter trails. You can see (and print) those here. Did you hear? You can visit Afton State Park in all seasons! Woo-hoo! However, if you decide to attempt a hike at ASP, here are some weather-y things to think about. In late winter and early spring, when the snowshoe and ski trails have just opened to hiking, there's going to be snow and ice everywhere. Yes, everywhere—even if it's 50F/10C and sunny! Some of the trails are level, so a leisurely hike can be done despite the ice, but most trails gain (or lose) enough elevation where it's almost impossible to continue without proper shoes and crampons. You can buy a pair of crampons on Amazon. We bought some for Iceland and can't praise them enough. So easy to use! Just strap them to your feet and you'll be good to go. Otherwise, if you don't want to buy crampons (although we highly recommend them, seriously), you can use hiking poles to help steady you. I loaned my crampons to a friend on our hike last weekend and used my poles in the interim. Only slipped a few times and was still able to hike 10 full miles! After ice comes the mud (or, if you're lucky, between February and April you'll be treated with a combination of both). I'm not sure which is worse, but I tend to think mud wins that title. Ugh. Mud is slippery. It defies crampons and hiking poles, your hiking shoes and pants (and other places if you fall) get coated in slime, and it slows you to a miserable slog. Which, unfortunately, makes going up and down hills a total pain. Take extra care when hiking in muddy conditions. Even with my hiking poles last weekend, I still fell in the mud. Not fun, no, but if hiking were always fun all the time, everyone would do it (or at least I like to think so)! Prepare yourself. In Minnesota, bugs like flies, gnats, mosquitoes, and ticks are a serious problem. Add in thick trees, tall grass, and lots of water sources, and you're guaranteed to spend most of your time smacking tiny, winged vampires and those black specks that seem to want to land on your eyes. If you're just headed to Afton State Park for a day hike, a good, heavy-duty bug spray should keep the devil at bay. But if you're camping for the weekend and hiking between May and September, you might want to treat your clothes with something like Permethrin. We primarily use ASP to train for longer hiking trips and/or thru hikes (such as the Superior Hiking Trail up in Duluth, which we're training for right now). This means we bring backpacks, hiking poles, good hiking shoes, and some filler weight to make our day hike a challenge. We go with a goal in mind (at least 10 miles), and we go even if it rains, even if our legs hurt, even if we're tired. That's our mission. 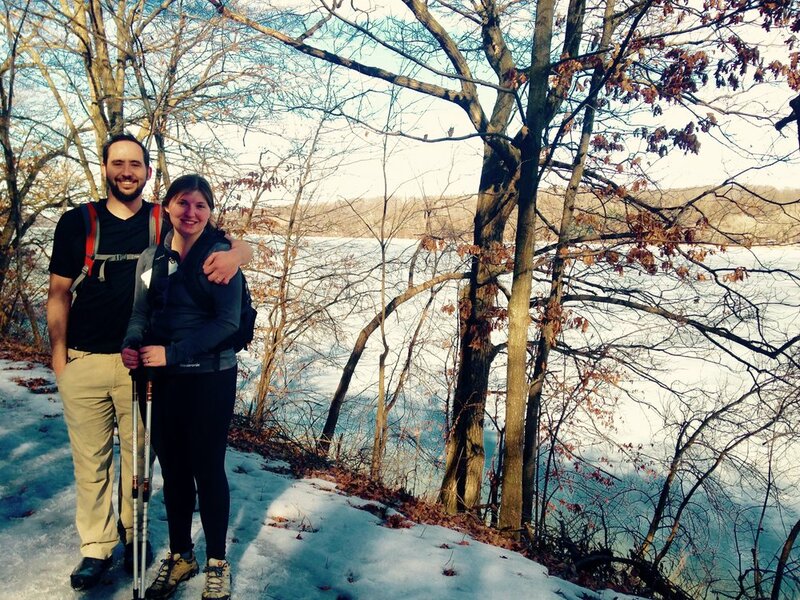 As long as you know your reason for day hiking Afton State Park and your limits (physically or mentally), you'll have a great time. While there are some restaurants close to the park, if you're planning a day hike, you'll probably want to eat on the trail. There are plenty of picnic tables and benches you can use to take a break and fuel up, plus the view is always lovely (so you won't be bored if you stop for a while)! We also suggest you bring a water bottle and some backup water. Other than the water pump at the campsite, there aren't any fountains or other clean water sources available on the trails. This means you could go 5-6 miles without water, and that's a long time when you're thirsty or dehydrated (especially in the summer). I'm sure I've stated this several times by now, but good hiking shoes are an absolutely must if you want to hike Afton State Park. No flip flops, no sneakers, no winter boots. You need sturdy hiking shoes with excellent traction and comfort. Why, you ask? ASP's trails are wild. Only a minuscule few are paved or smooth; others will have you tripping over tree roots and jutting rocks, stepping around tiny ravines in the middle of the trail, shuffling up grass and twigs, and just generally walking on uneven terrain. While this is good for the heart, it's not so great for weak ankles or shoes that give you blisters. So plan accordingly. I throw this last one in here as a reminder to enjoy your surroundings once you're on the trail! 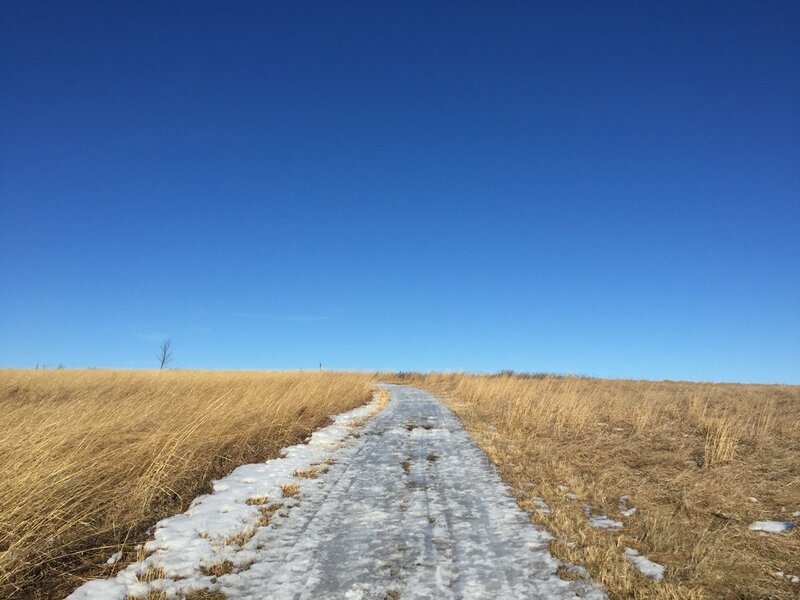 Afton State Park is a great place to reflect upon life, soak up the beauty of the earth, catch up on your favorite audio book, bask in the company of friends, or just listen to the trill of birds and trickle of melting snow. When hiking here, I always feel so full of life and so removed from the cities ... which is a real treat, and something I think all of us need once in a while.